She was just a 3 year old and she was mine. With a name like "Heavenly Justice" and me being a cop, well, how could I loose? In the horse racing world I'd learned any coincidence with anything about racing and it could be used as a good luck charm...and her name did it for me. 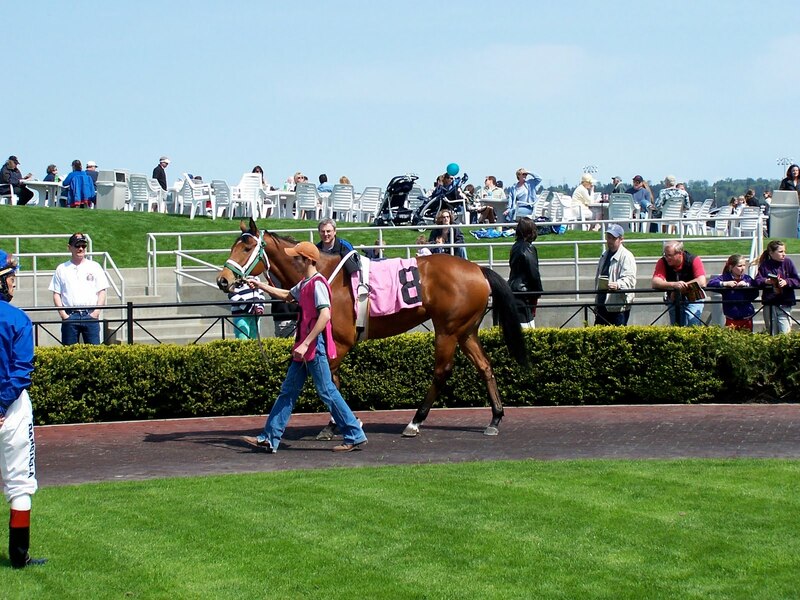 Bought late in the winter she went into training at a little run-down horse farm in the Kent Valley. Looking at the place you'd have to cringe some. No gleaming buildings, no modern composite training track. What the barn lacked in luster, though, it gained in caring, knowledgeable people. Horses were crooned to as they were fed. After workouts warm water baths were given and kind, calloused hands massaged tired youngsters' muscles. 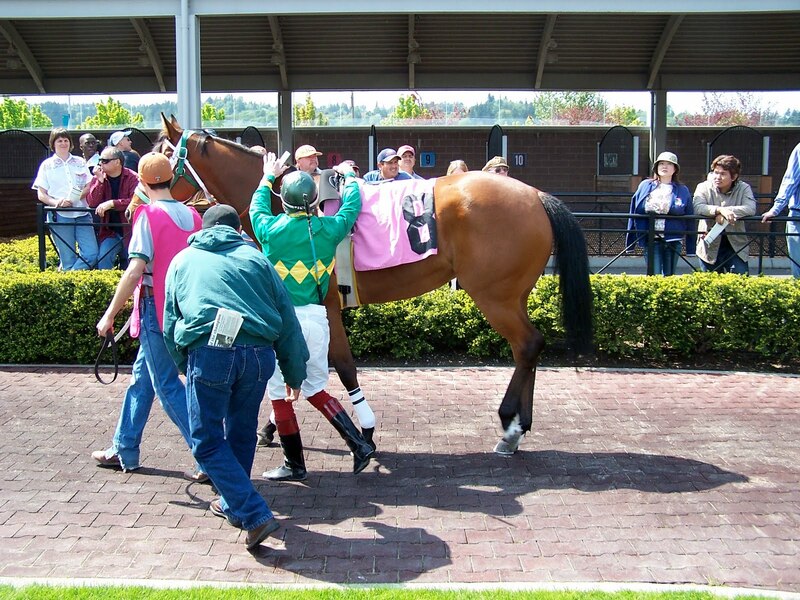 The day finally arrived for Heavenly Justice to meet her public at Emerald Downs. 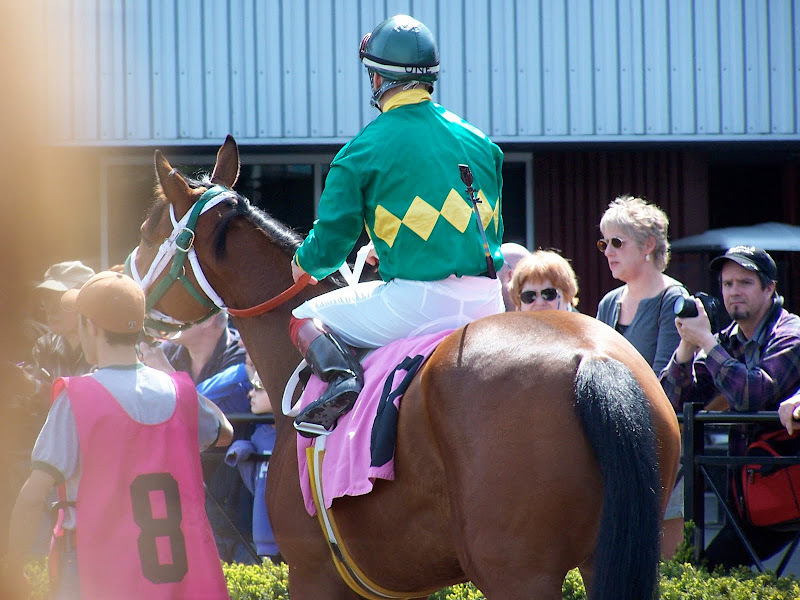 It was a day I'd never forget as I watched my girl start her trip toward the saddling paddock. First stop, the "test barn". 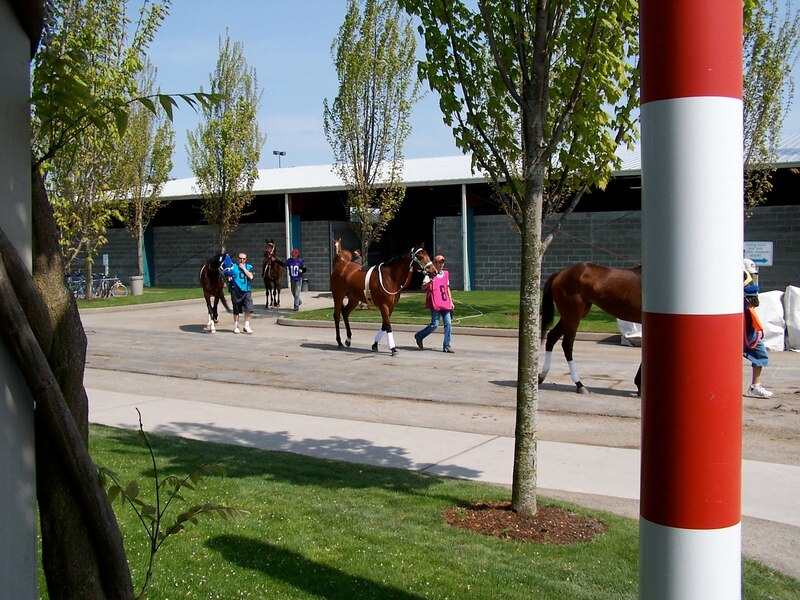 At the beginning of every race the horses are brought to the barn and identified. The ID steward checks under the upper lip of each horse to look for a tattoo. Yup, she was who we said she was. 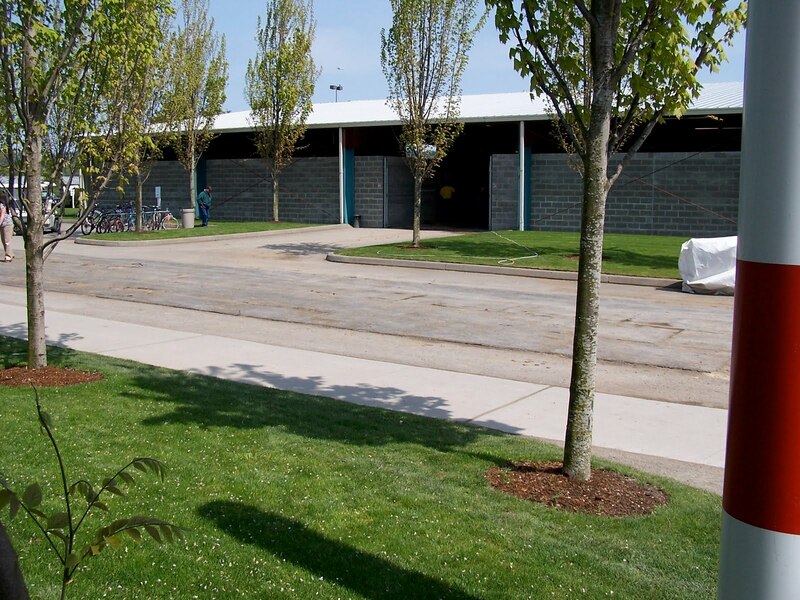 The "pony horses" waited outside the test barn. 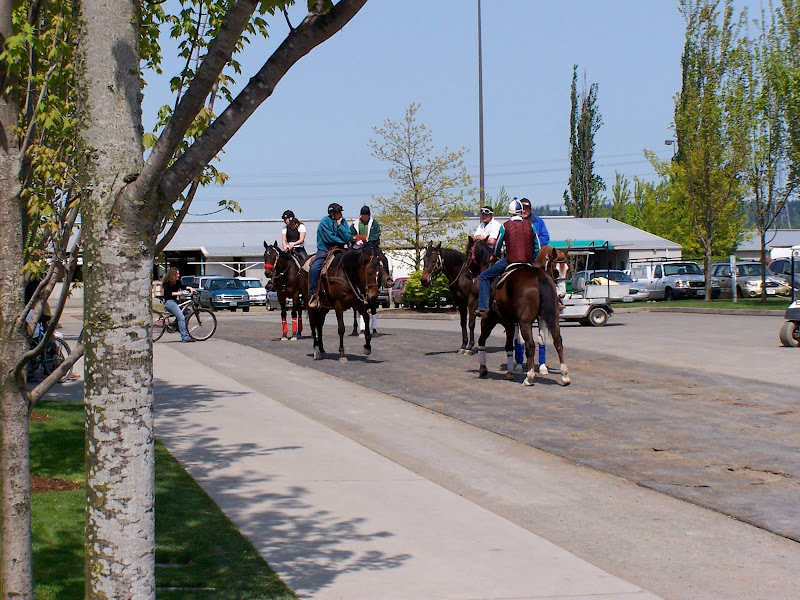 They would meet the horses after they left the saddling paddock to guide them to the starting gate. Led by her groom she headed toward the paddock. She was curious and knew what was going to happen soon. She was going to be a race horse. Her admirers oooed and ahhhed as she was saddled and paraded around the ring. I stood in the paddock on the "8" spot, showing I was her owner. I grinned from ear to ear as I heard folks talking about the "good lookin' bay". "Riders UP!" was the command from the paddock steward. A one handed boost from the trainer and Juan was in the saddle. 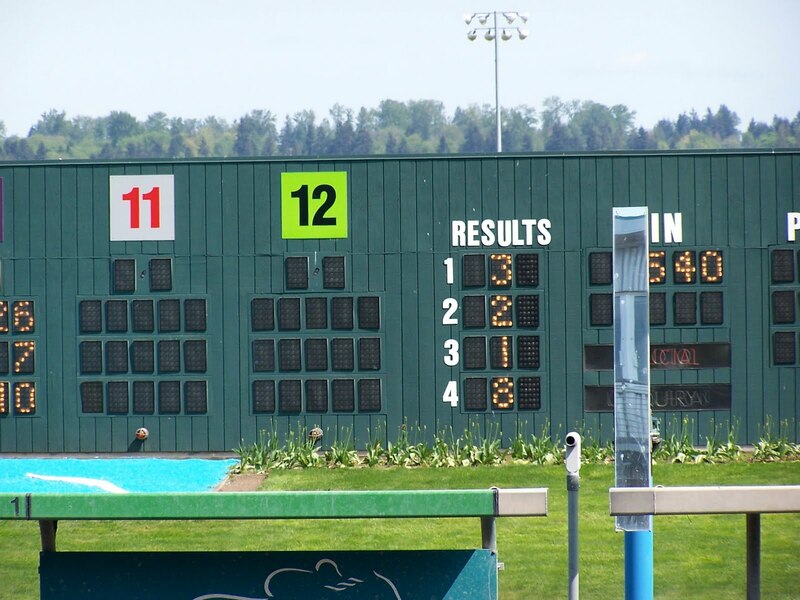 One of Emerald Downs' leading jockeys at the time, he was confident enough to change is name on the back of his helmet to "One". 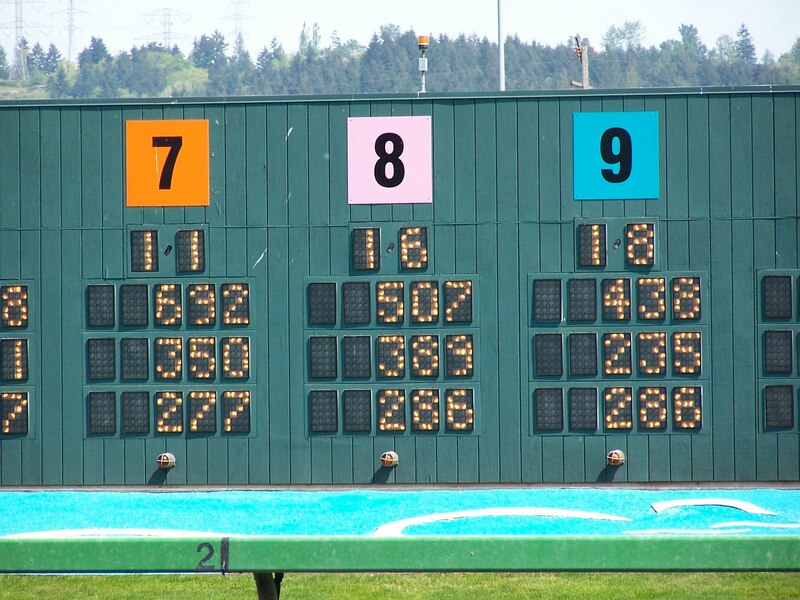 While the pony horse led my gal to the starting gate I smiled as I watched the tote board light up. 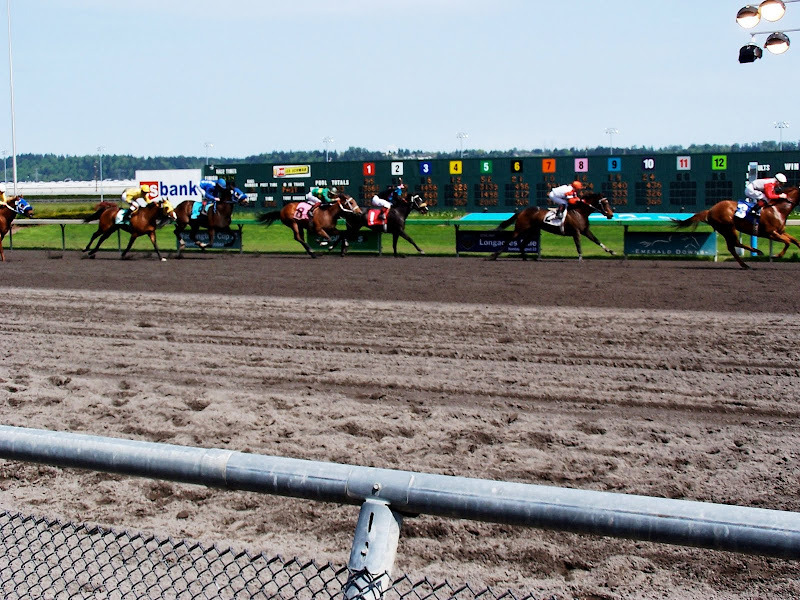 She was in the 8th post position which meant the 8th slot out from the rail. Not where I would have wanted her, but, hey, not my choice. Just seconds before the start of the race the board showed her odds at 1 to 6. Not that bad for a first time starter in the 8 hole. Ha---you were hoping for pictures of the race? No way, I was too busy jumping up and down and screaming. But I do have a picture of the finish! Out of 10 horses entered, Heavenly Justice took 4th on her first out! Another furlong and she would've caught the leaders. Big superstition...I don't bet on my own horses. But that didn't keep me from accepting the payout at the end of the day for her 4th place finish. I was a richer person for the experience of owning a race horse. Not much to take to the bank, but richer just the same.